W.E.B. 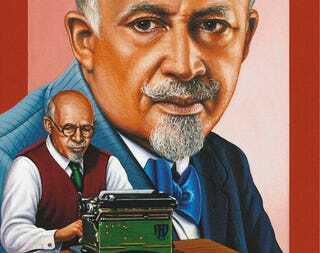 Du Bois is probably best known as an essayist and the co-founder of the NAACP. But he also wrote a number of works of fiction, including the well-known apocalyptic story “The Comet.” But his newly discovered short story from around 1908 could be a foundational text of Afro-Futurism. Top image: Black Heritage stamp showing Du Bois at work.